The Grifters™ Blog. News about The Grifters™ – tagged "Top Sprayer"
New release with MOSES & TAPS™ drops on 06 June 2017, 10:00a.m. (GMT+01). Two weeks ago, in The Grifters social media we started a social discussion, as the first stage of a project called #RulesOfVandalism. Together with the artists MOSES & TAPS™, we asked you what are the rules and the definitions of vandalism. Two weeks and thousand of comments later, we are back - as promised - with the second stage of the project - short film made by the artist Good Guy Boris. The film idea is the to show the respond of the artists - MOSES & TAPS™ - to the statements and the definitions given on the questions in the social discussion. “ The main character hears disturbing voices in his head. Voices who command him how to paint graffiti. At the very end of the preparation and right before the execution of his piece, the character decides to ignore the voices and to set himself free. Nobody can put rules in something that is made to be chaos.” tells Boris. This film is the occasion to link the social discussion with the last stage of the project - The Exhibition. Full information about the upcoming show available in the exhibition page here. Join our newsletter and social media for live updates. All the information and updates about the contests will be posted here and in the Facebook event. The conditions of each of the 10 questions of the competition will be announced individually in our social media profiles, where the competition will take place. The discussion will end on Sunday the 10th May. The winners (both Instagram and Facebook) will be chosen using social media plugins for determining random winner, and they will be announced here and in the Facebook event. *In total 20 exclusive collector items from Moses & Taps™ x Montana Cans will be given to the winners of the contest. The collector item will not be available on the market! WHAT IS THE IS THE DEFINITION OF VANDALISM? / DEFINE VANDALISM. WHAT IS THE IS THE DEFINITION OF GRAFFITI? / DEFINE GRAFFITI. WHEN VANDALISM CAN BE CONSIDERED AS ART? / When and how we can label vandalism as art? WHAT ARE THE 10 GOLDEN RULES OF VANDALISM? / List the 10 commandments of vandalism. WHAT ARE THE MUST-DO ACTIONS, WHEN YOU ARE EXECUTING A GRAFFITI PIECE? // WHAT ARE THE CRITERIA, REQUIRED TO COMPLETE GRAFFITI PIECE? WHAT IS NOT ALLOWED TO DO, WHEN YOU ARE EXECUTING A GRAFFITI PIECE? 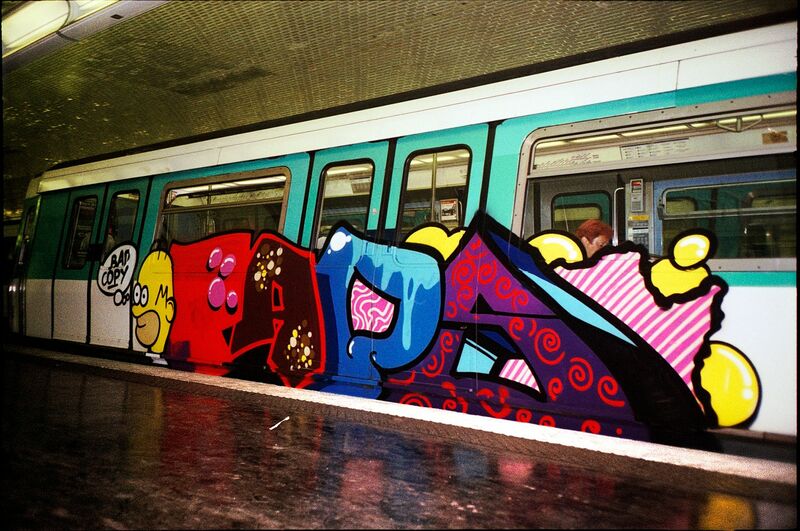 SHOW US THE PERFECT GRAFFITI PIECE? / Post a photo of your favorite vandalism. SHOW US THE WORST VANDALISM? / Post a photo of the most useless vandalism. CAN YOU VANDALIZE VANDALISM? / Why and under circumstances? MOSES & TAPS™ are without a doubt two of the most active and creative writers on earth. Although their avant-garde works often leave traditional paths there is always a clear reference to graffiti. Their debut book INTERNATIONAL TOPSPRAYER™ became one of the most read graffiti books worldwide and the number of sold copies has meanwhile reached a five-digit number. With that work they demonstrated the spectrum of their artistic ability as well as they presented an essential work of reference. 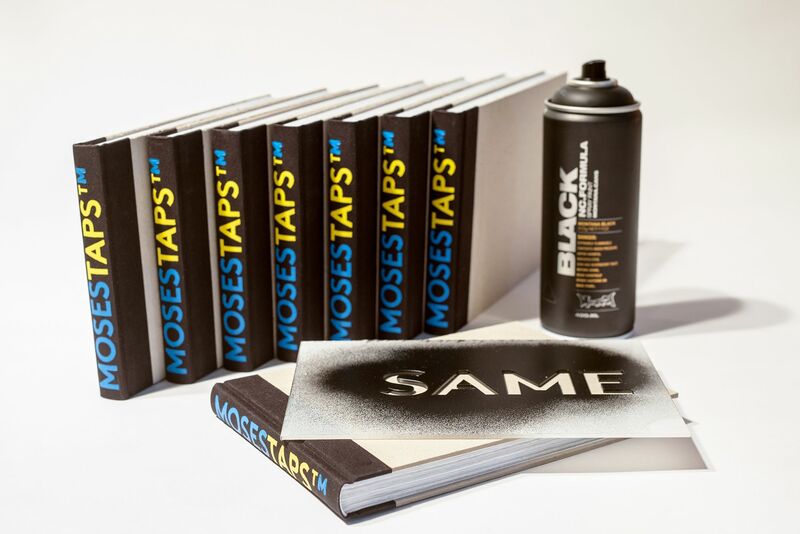 SAME SAME™ is the title of a photobook which focuses on MOSES & TAPS™ throw ups and their surroundings. “As to form graffiti is redundant due to a repetitive personal style. As to content graffiti is redundant due to a repeating name. Therefore, the most exciting moment - the symbiosis of graffiti and its surrounding - can only be achieved if the individuality of the painted steps in the background,” TM™ explain the idea behind their project. Thus, SAME SAME™ is not supposed to continue INTERNATIONAL TOPSPRAYER™ but it is to solve the dilemma between ‘perfect piece’ and ‘perfect photograph’. Again MOSES & TAPS™ take the viewer on their probably never-ending journeys travelling the continents: tunnels in Berlin, the Trans-Siberian Railway, or NATO military training areas; blue and yellow Easter eggs do not only travel the world on thousands of freight cars any longer. SAME SAME™ is not a mass product but a collector’s item. That is why it is strictly limited to only 500 copies. All copies are serially numbered and the title will be stenciled on each hardcover by MOSES & TAPS™ - every copy will be unique. The book won’t be available in shops. The worldwide release will be on Easter Monday, 21st April, 10:00 a.m. CEST. It will be sold exclusively at www.grafters.org only. MOSES & TAPS™ gehören ohne Zweifel zu den aktivsten und kreativsten Writern dieses Planeten. Obwohl ihre avantgardistischen Arbeiten oft den Pfad des traditionellen Writings verlassen, bleibt der Bezug zu Graffiti doch stets erkennbar. Mit ihrem ersten Buch INTERNATIONAL TOPSPRAYER™, das mittlerweile in fünfstelliger Auflage zu den meistverkauften Graffitibüchern überhaupt gehört, haben sie die Bandbreite ihres künstlerischen Schaffens eindrucksvoll unter Beweis gestellt und DAS Referenzwerk geschaffen. SAME SAME™ lautet nun der Titel eines Fotobuches, das sich ausschliesslich mit MOSES & TAPS™´ Throw-Ups und deren Umgebung beschäftigt. »Graffiti ist formal redundant, da sich der persönliche Style wiederholt und Graffiti ist inhaltlich redundant, weil sich der dargestellte Name wiederholt. Gleichzeitig aber rückt der wirklich spannende Moment, nämlich das Zusammenspiel von Graffiti und dessen Umgebung nur dann in den Fokus, wenn das Gemalte in seiner Individualität zurücktritt und keine Aufmerksamkeit einfordert«, erklären TM™ den Gedanken hinter SAME SAME™. SAME SAME™ ist kein Nachfolgewerk von INTERNATIONAL TOPSPRAYER™ sondern die Dokumentation einer Lösung des Dilemmas zwischen dem „perfekten Piece“ und dem „perfekten Foto“. Nichtsdestotrotz nehmen MOSES & TAPS™ den Betrachter auch diesmal mit auf ihre wohl niemals endenden Reisen über die Kontinente: Berliner Schächte, die Transsibirische Eisenbahn oder NATO-Truppenübungsplätze; gelb-blaue Ostereier rollen mittlerweile nicht nur auf tausenden Güterwaggons um die Welt. SAME SAME™ ist kein Massenprodukt sondern ein Liebhaberstück. Das Hardcover aus unbehandeltem Karton wird von MOSES & TAPS™ mittels SAME-Schablone individuell besprüht und so um den Titel ergänzt – somit ist jedes Exemplar ein Unikat. Das Buch ist auf 500 Exemplare limitiert und nummeriert. Es wird nicht in Shops verkauft. Der Vertrieb findet ab Ostermontag, den 21. April, 10 Uhr exklusiv über www.grifters.org statt. TOP SPRAYER™ X THE GRIFTERS: SAME SAME™ from Teh Grifters on Vimeo. A book by Taps & Moses™. Limited edition of 500 copies only. Available exclusively at thegrifters.org from 21 April 2014, 10:00 A.M. (GMT + 01). NEW VIDEO COMING THIS MONDAY 21 MARCH AT 10:00 A.M.